The automakers at Audi know how to inspire confidence in each and every driver, and here at our Audi dealership in Wichita, KS, we aim to offer the same unyielding reliability and incredible passion for the vehicles we sell. 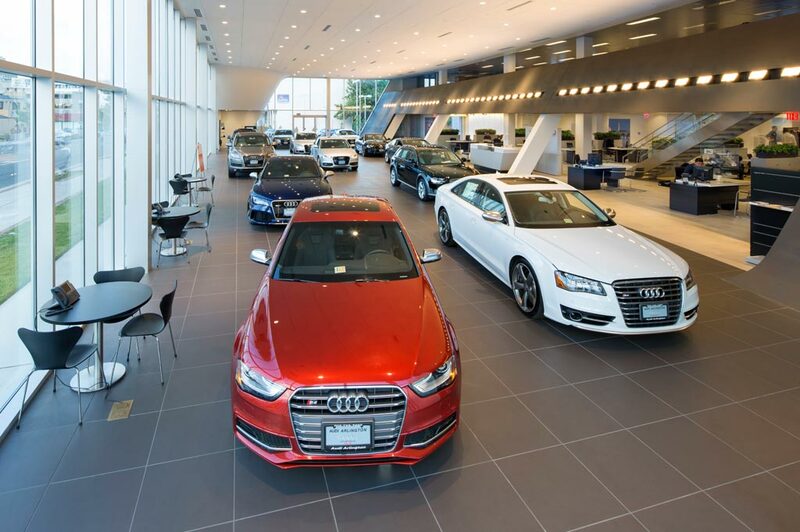 Experience firsthand the exhilaration that comes with driving an impeccably designed Audi at Audi Wichita, where the sleek new models in our showroom are all designed with the utmost luxury in mind. Our expert staff will help guide you to the ideal new or pre-owned Audi vehicle for your unique set of needs. The moment you walk through our doors, you can expect the expert sales team to treat you with the same respect we have for the vehicles we sell. They'll share their Audi expertise with you, in order to help you make an informed decision no matter which type of car you buy. If you're in the market for a sleek new Audi, a member of our sales team will set you up with a test-drive in the perfect model to suit your lifestyle, such as an elegant Audi A4 or a spacious Audi Q7 SUV. And for luxury on a budget, we also have a remarkable selection of pre-owned Audi models, as well as low-mileage used cars from other premium brands. At our Audi dealership near Salina, we understand that you want to protect the investment you've made in your new Audi. That's why the experts at our Audi service center are the perfect people to help you maintain your vehicle. We offer the highest quality of care for your Audi, from tire rotations and oil changes to body work and part replacement, and our expert service team does it all with precision and accuracy. In addition, we have a well-stocked Audi parts inventory for when you prefer to handle quick fixes yourself. Our Audi dealership is located at 1575 N. Greenwich Road in Wichita, KS. Visit us today to experience the luxurious sophistication of the Audi brand for yourself.